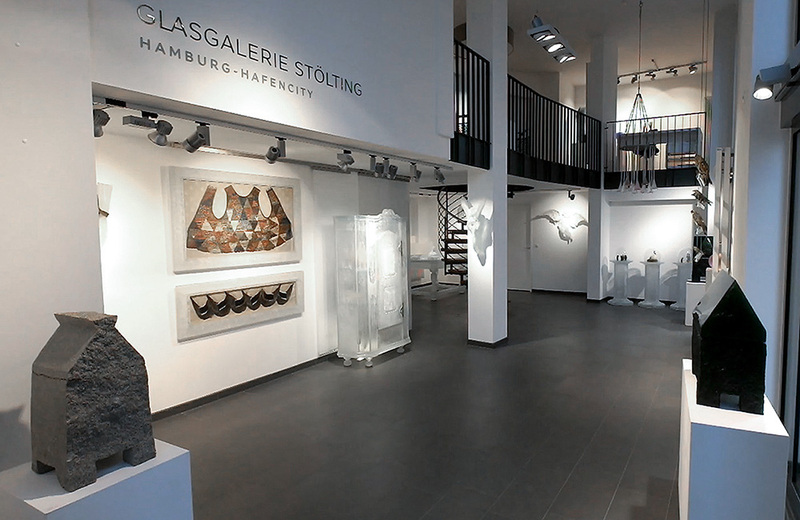 Glasgalerie Stölting was founded by Tom Stölting in October 2013 in Hamburg’s HafenCity region to mark the 25th anniversary of Glasgalerie Hittfeld, which had been opened by his mother, Eliska Stölting. The joint exhibition “Czech Glass Art – For 25 Years In Germany” was held at both galleries, encompassing 90 works by 31 Czech glass artists. Both events were held under the patronage of the ambassador of the Czech Republic to the Federal Republic of Germany, S.E. Dr. Jindrák, who opened the exhibition in Hamburg’s HafenCity region together with Peter Boué, honorary consul of the Czech Republic, and Dr. Dr. h.c. mult. Peter Fischer-Appelt, a member of the Board of the German-Czech Society. 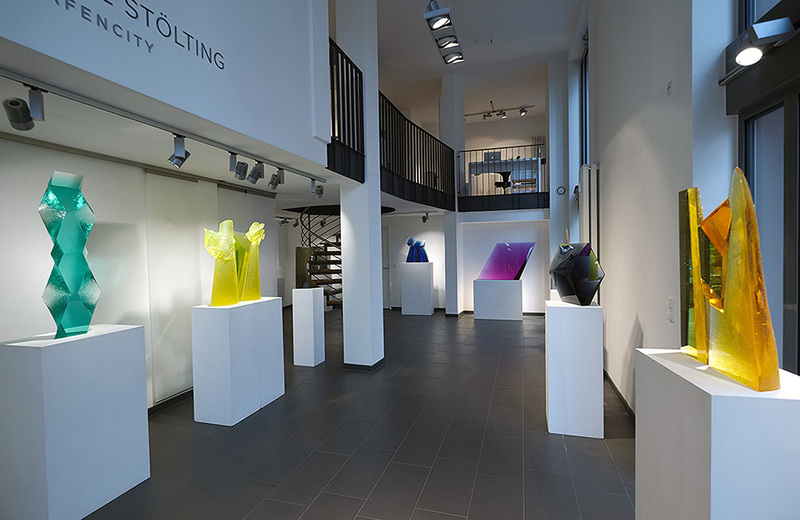 Tom Stölting has set himself the goal of continuing in the next generation the internationally renowned glass gallery of this mother, Eliska Stölting, who had opened the world’s first gallery specialising in contemporary Czech glass art. As with Glasgalerie Hittfeld, the main focus pursued by Glasgalerie Stölting is on glass sculptures by Czech artists, who are amongst the international elite in the glass scene. Thanks to decades of contacts and close friendships with the artists, internal knowledge has not only been passed on but preserved by the son, who was born in Prague. Glasgalerie Stölting specialises not only in the first and second-generation glass artists but now also the third and youngest generation. Tom Stölting is committed to the highest possible quality to achieve the same international renown enjoyed by Glasgalerie Hittfeld. 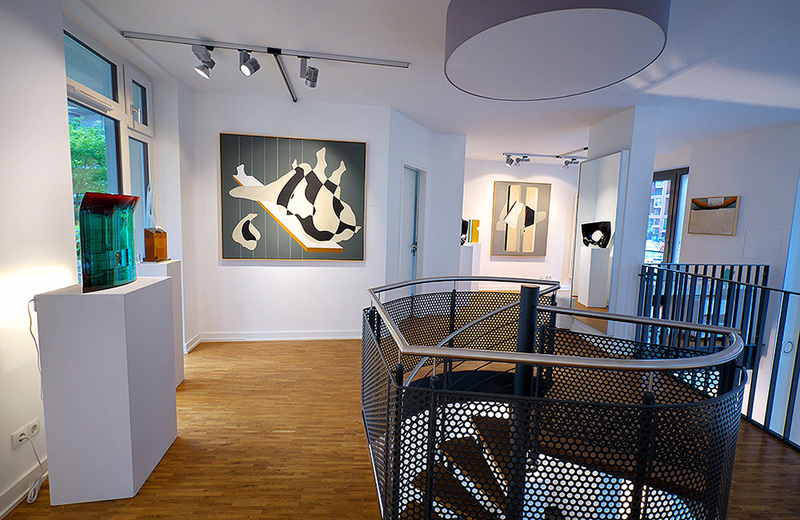 It was no coincidence that he decided to open his own gallery in Hamburg’s HafenCity region. Hamburg’s youngest suburb, it owes its fascination to the internationally acclaimed Elbe Philharmonic Hall with its fascinating glass facade and its location by the water. The historic warehouse district – now classified as a UNESCO world cultural heritage – modern office buildings, museums and many places by the water with a view of Europe’s second largest port attract international visitors throughout the entire year. 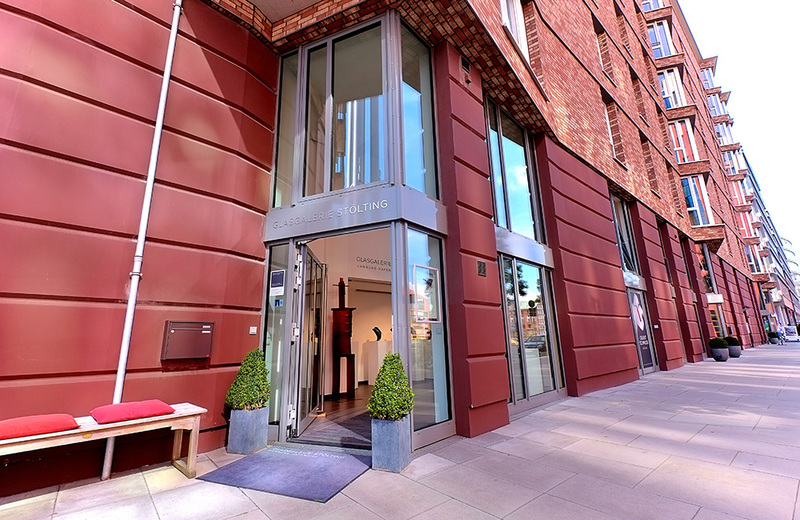 The target group is highly interested in architecture and art and amenable to new impressions and experiences. Tom Stölting is continuing his mother’s philosophy of propagating glass as a material in contemporary art and of attracting new visitors for this remarkable genre.